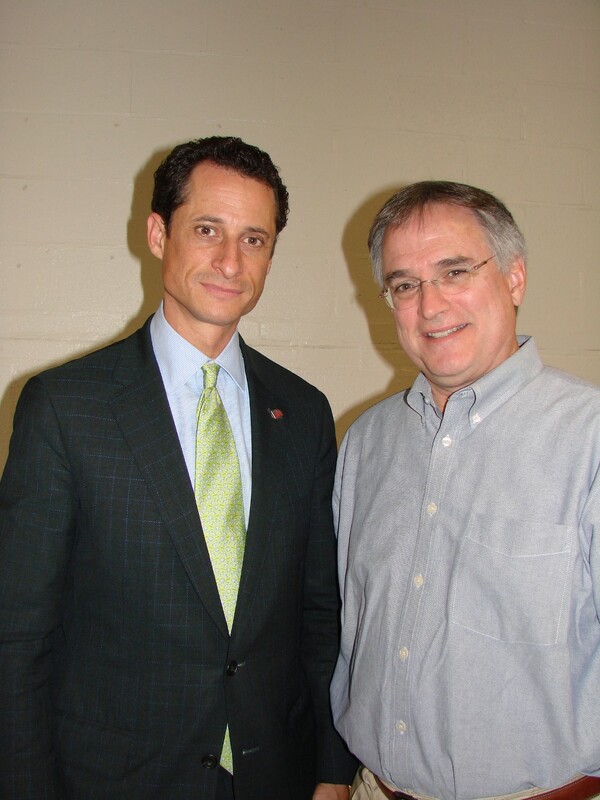 New York Congressman Anthony Weiner, seen here with and Joe Foster, chairman of the Lower Merion-Narberth Democratic COmmittee, was part of a city-wide Jewish Outreach for Obama recently, as Weiner apoke at the Kaiserman Branch of the JCC. Presidential candidates send surrogates to Philadelphia. There are several key former Hillary Clinton supporters from the Jewish community who have been actively campaigning for Senator Barack Obama since he became the nominee. You have seen how often Florida Congresswoman Debbie Wasserman Schultz appears on CNN and MSNBC, even an occasional foray into Fox news territory. Closer to home, Congresswoman Allyson Schwartz , and state Senator Connie Williams have been holding public and private events, moving former Hillary supporters over to the Obama column. And the Obama campaign has their national Jewish Outreach director, Dan Shapiro, based in Chicago, sending luminaries into the Jewish community to enlighten voters about Obama's stance on Israel, the peace process, and other important issues, domestic and international. Chief among these was, of course, Ambassador Dennis Ross, who drew a standroom crowd of eight-hundred people at Temple Beth Hillel-Beth El in Wynnewood, Pennsylvania. It was Ross' first foray into partisan politics, as he had always been a nonpartisan envoy, under two Republican and one Democratic president. His expertise on the Middle East and peace negotiations is universally admired. Ross had accompanied Obama to Israel, Jordan, and Europe this summer, and he had sat in on all of Obama's meetings. Because Ross knows all the players, he was the recipient of comments from Palestinian, Jordanians and Israeli leaders, all of whom had praised Obama for his intellect, his knowledge of the history of the region, his grasp of the difficulty of the challenges but the necessity to move forward with the peace process. The Pennsylvania Jewish Outreach for Obama people scheduled a whole day recently, hitting all parts of the region, deploying New York Congressman Anthony Weiner, former New York City Mayor Ed Koch, Michigan Senator Carl Levin, Levin’s brother, U.S. Congressman Sandy Levin, also from Michigan, and the actress Blythe Danner, to all the points of the compass in our region. In addition, Pennsylvania’s Deputy Speaker Josh Shapiro and Congresswoman Allyson Schwartz appeared together at a private residence. 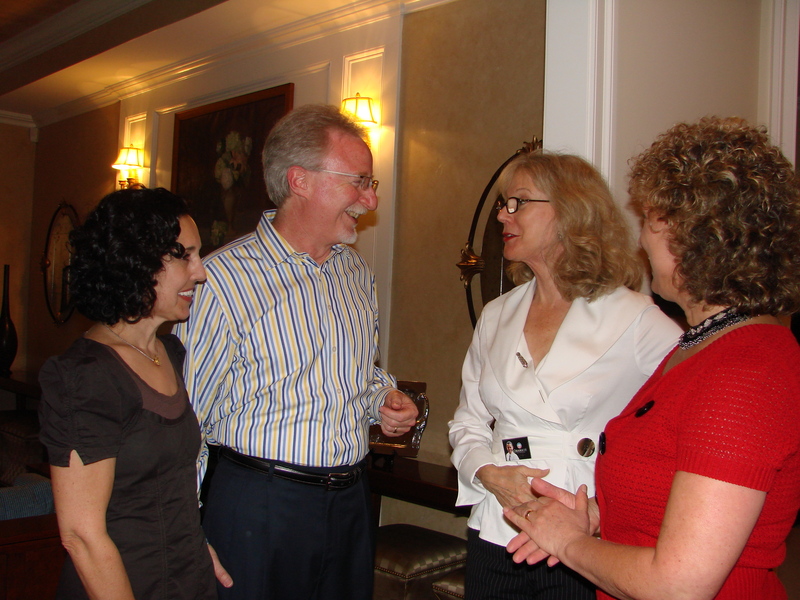 One of the best turnouts, after the crowd for Ambassador Dennis Ross, was at the home of Kathy and Jeff Pasek in Lower Merion, when the vice chair of the Democratic National Committee Susan Turnbull spoke as Obama's liaison to the Jewish and Women's communities. Susie Turnbull's maiden name is Wolf, and she is an observant conservative Jew. Her husband is a convert to Judaism. Turnbull's community service includes being a board member of the Jewish Social Service Agency, the Jewish Council for Public Affairs, and Jewish Women International. In her professional life, she is a consultant for a number of Hillel campus organizations. 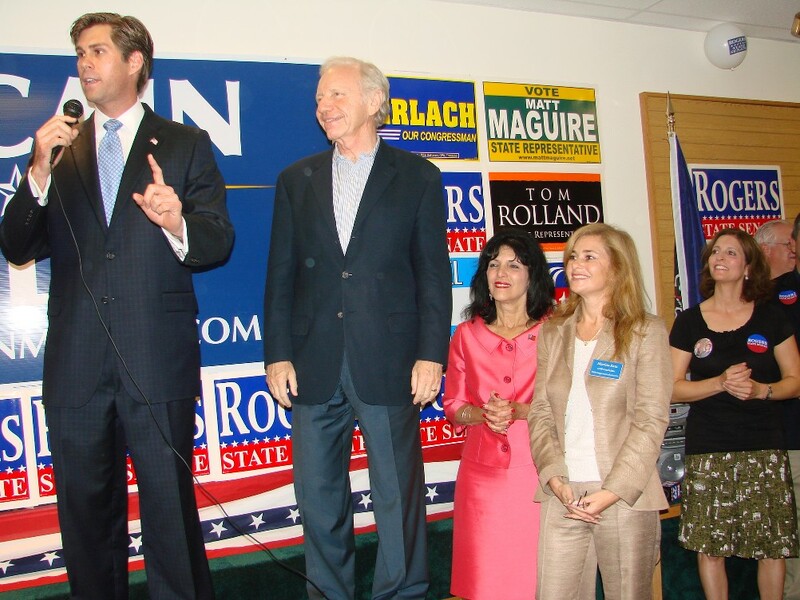 On the Republican side, Senator Joe Lieberman, a former Democratic candidate for Vice President, has been campaigning for the McCain-Palin ticket. He appeared at the Ardmore headquarters of state Senate candidate Lance Rogers. But when Temple Beth Hillel-Beth El, which hosted Ross as a surrogate for Senator Obama, invited Senator Lieberman to speak for Senator John McCain, only about 100 people showed up. Main Line Reform Temple got into the act when, along with the Sabra group of Hadassah and the Jewish Community Relations Council, it hosted a debate between Democratic Congressman Henry Waxman of California, speaking on behalf of the Obama-Biden ticket, and former Louisiana Governor Buddy Roemer, speaking on behalf of Senator John McCain. The audience was different this time, because there were a couple of very vocal, very rude McCain supporters who were attacking the Jewish Congressman, even as he sat on the platform in front of the Ark with the Torah and next to Rabbi David Strauss. They were so venomous in their attacks on Waxman that the audience began to yell at them to be quiet and allow the Congressman to answer the question. Waxman remained cool under fire, and Roemer was a folksy Andy-Griffith-type surrogate for McCain. Senator Lieberman said at one of the rallies he attended that Reagan had received 39% of the Jewish vote when he was the Republican candidate. The Connecticut senator added that he hoped to raise that percentage for Senator McCain. Most national polls indicate that Lieberman will be very disappointed in the numbers of Jewish voters who show up on November 4. The current fiscal crisis, the lingering hostilities in Afghanistan and Iraq, the lack of leadership in Washington, all point to a major change in the White House. And Senator Obama's mantra of "change" sounds a bit ludicrous when long-time member of the Congress, John McCain, tries to make "change" the belated theme of his own campaign. Hebrew Barack Obama 2008 button. And those Obama for President buttons in Hebrew letters have become more and more popular, showing up in a lot of places. The Jewish Outreach for Obama events and phone calls will probably continue right up to Election Day. The post-election analysis should be very interesting and very revealing.